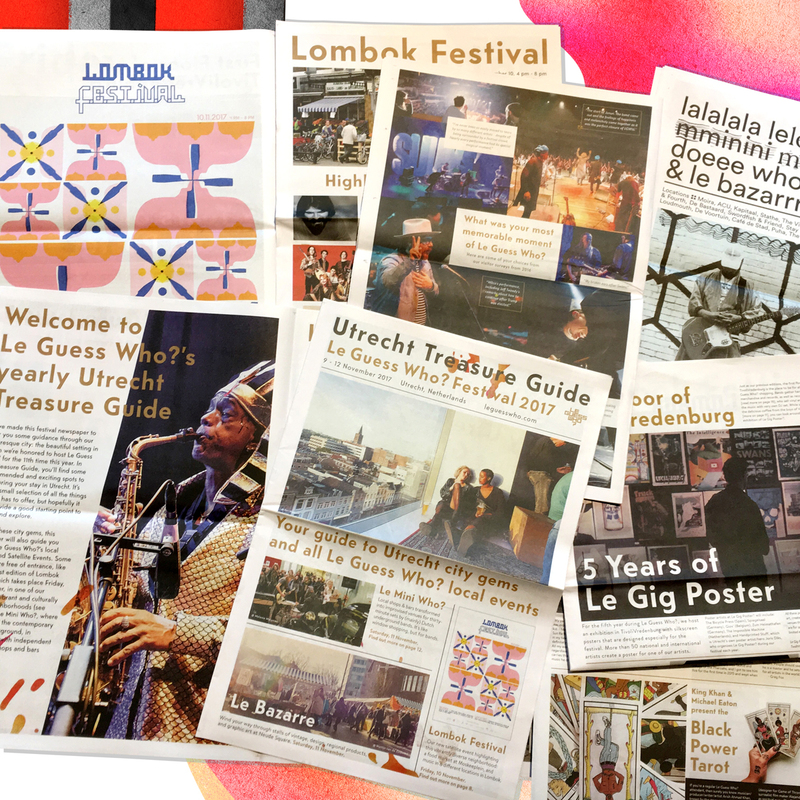 Our festival newspaper is your guide to Utrecht city gems and all Le Guess Who? local events. Here, the festival team recommends spots to eat, drink, shop and hang out in Utrecht. You'll also learn more about cult market Le Bazarre; Le Mini Who?, which highlights the new (mainly) Dutch underground; and our first edition of satellite event Lombok Festival, celebrating this vibrantly diverse neighborhood in Utrecht. Read below, and pick up a physical copy in Utrecht today, or in TivoliVredenburg when you arrive at the festival.